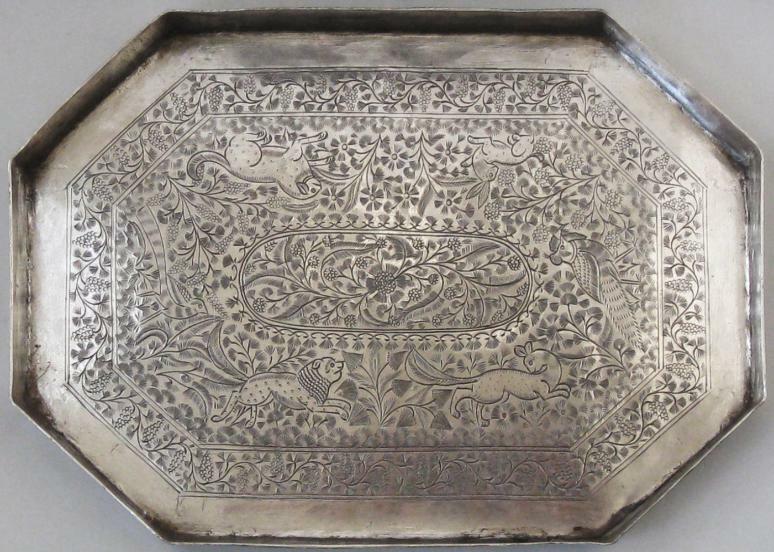 This beautiful pandan or betel box in high-grade silver with a combined weight of almost a kilogram is chased all over with Persian-influenced animal chase scenes – lions and tigers chase hares and deer amid scrolling foliage, flowers and vines laden with ample bunches of grapes. 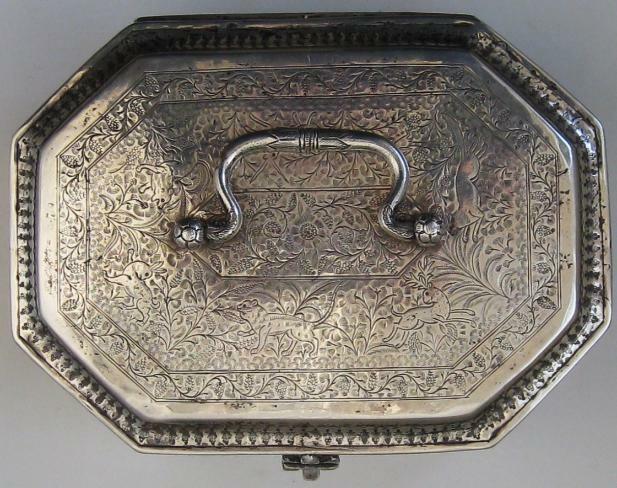 The hinged lid is similarly chased and is surmounted by a solid handle, chased and cast in flower and leaf form. 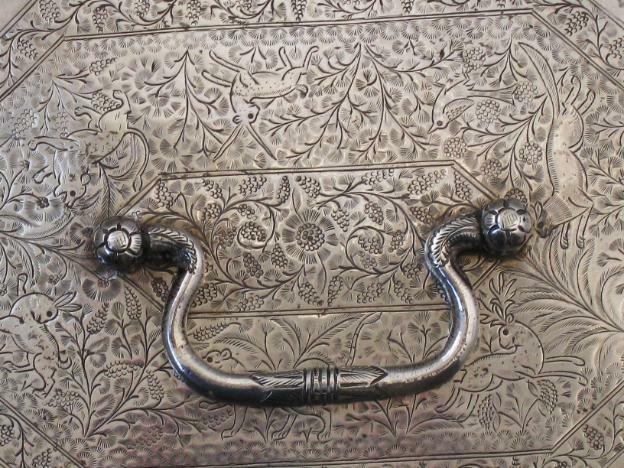 The lid has an elaborate cast and chased latch. 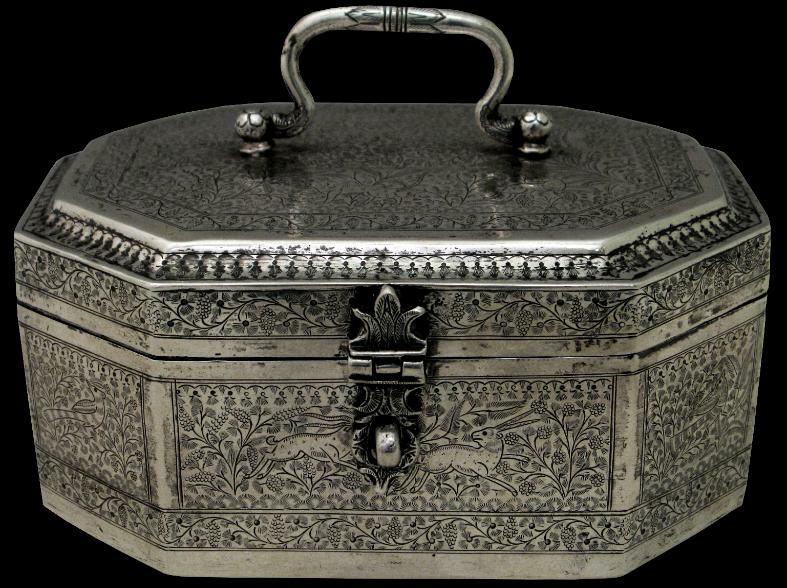 Inside there is a tray on which betel leaf could have sat and the betel quid prepared, similarly chased with birds, lions, and hares amid dense flowers and foliage and within borders of scrolling grape vines and fruit. 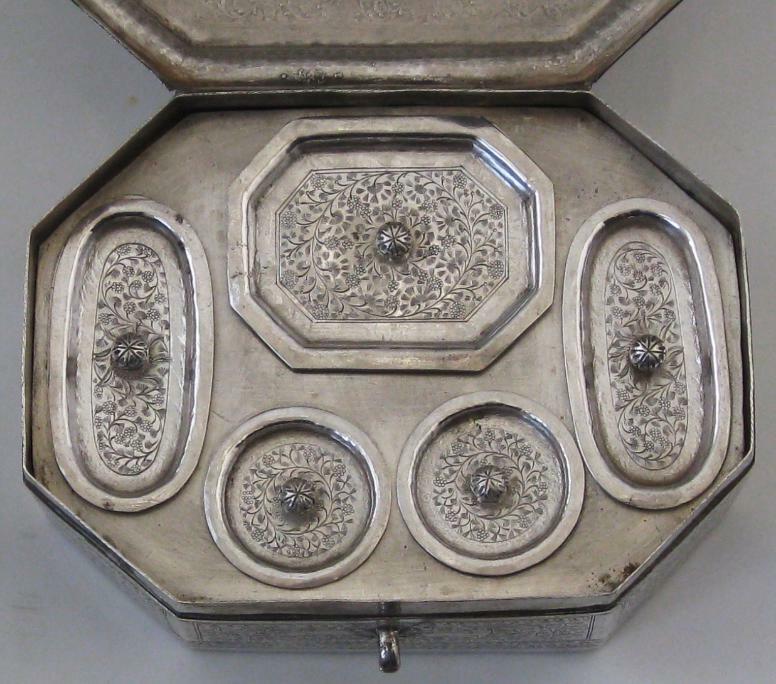 The tray lifts out and beneath tis another in which sits five containers (for the betel nut, lime and other condiments) each with its original lid and with each lid chased with scrolling grape vine and fruits motifs and surmounted by a Mughal-inspired finial. 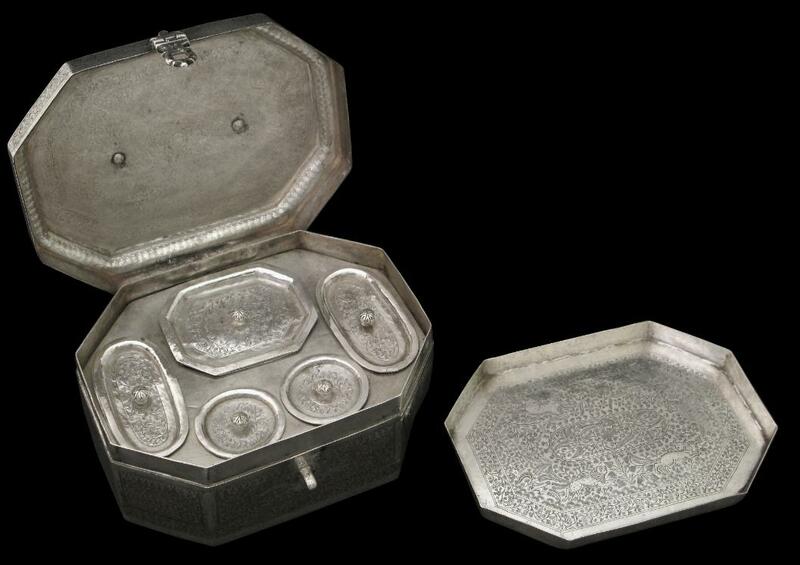 pandan has lovely softened contours, gently smoothed by the passage of time and use; the silvery having the buttery, waxy feel common to old, high grade silver. 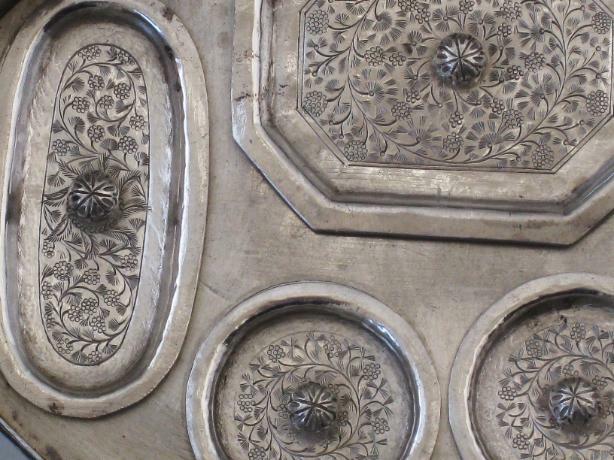 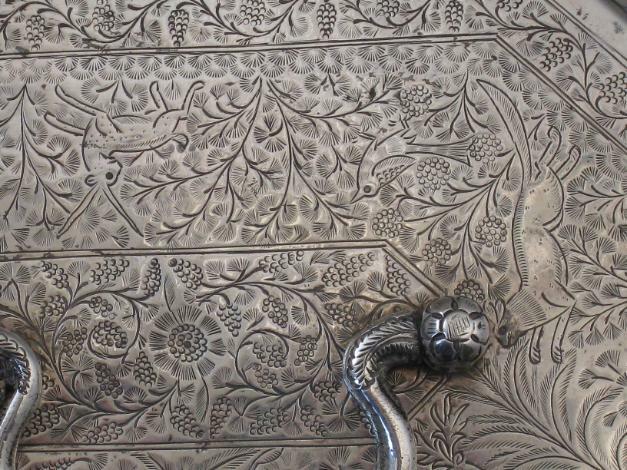 Silver-work with this type of Persian-style chasing can also occasionally be seen on the silver scabbards of swords and daggers from eighteenth century Mughal India. 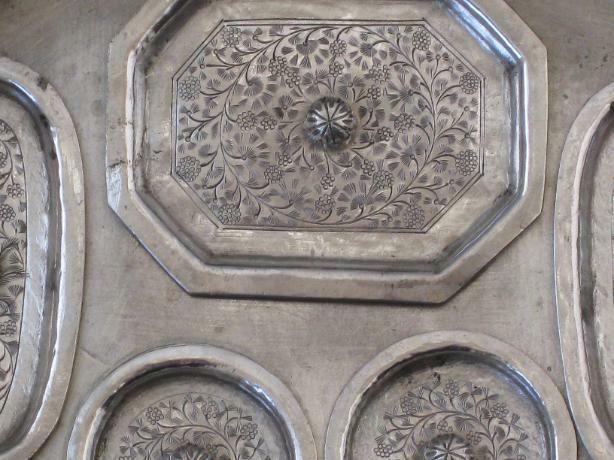 The motifs and scenes are reminiscent of Persian and Mughal miniature paintings and Persian laquerwork. 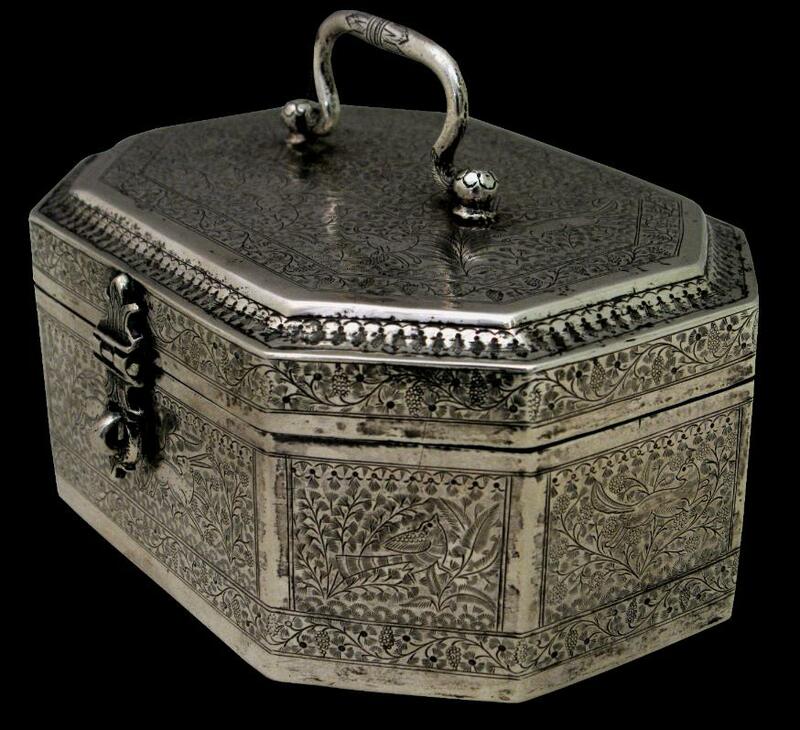 The opulence of this box suggests that it was commissioned by or for a member of the nobility.